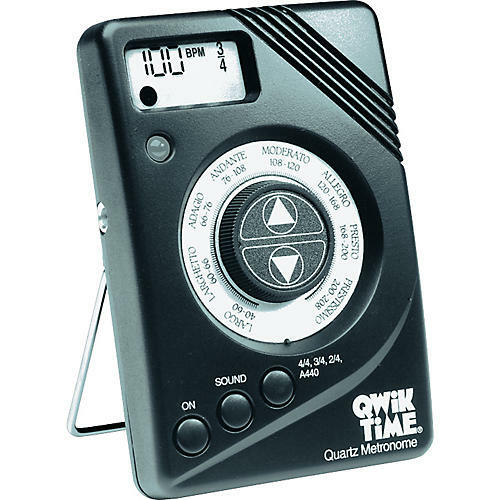 Here's a great new metronome with extra features and low price! It has a true "wood block" click. A440 tuning tone. 2/4, 3/4 or 4/4 time signatures, accented beats, headphone jack, and comes with battery.